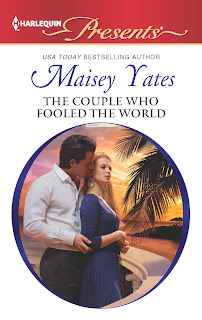 ROMANCE BOOK PARADISE: Maisey Yates, The Couple Who Fooled The World Giveaway! 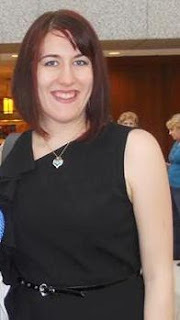 Maisey Yates, The Couple Who Fooled The World Giveaway! We have USA Bestselling author Maisey Yates and she's got a kindle copy of The Couple Who Fooled the World for one commenter! The conflict. Lots of scope for angst and very dark heroes. The characters. If I connect with the characters, then I'm excited to go on their journey with them. I really want to go to Italy someday. That's a dream of mine. So many places. England, Paris, Ireland…I have a big list. My laptop! Boring, I know. The Couple Who Fooled the World is like if Steve Jobs and Bill Gates were a hot guy and a hot girl who had a hate/lust thing happening. ;) Seriously, Ferro is a very tortured hero, and Julia is a very fun, different heroine. And he buys her a giant metal salmon. And puts it in her office without permission. What's not to love ? Most women would kill to be on Ferro Calvaresi’s arm. The enigmatic Italian is one of the richest men in the world and at the top of his business game. Julia Anderson is not most women. She’s as rich as Ferro and twice as hungry. The only way to seal a major deal is for these two rivals to play nicely…together. Yet neither expected the media to soak up their ruse so quickly or so publicly! But when the deal is won, are the world’s hottest new couple beginning to believe their own lie? I have a long list of places I'd love to visit, too. Great to meet you. Love your work. How about a location closer to your big backyard? Yosemite! Oh yes! That is much closer! A giant metal salmon, huh? Therein lies a tale. (Or should I say... tail?) Sounds intriguing. Hi Nas, Hi Maisey. Maisey, I'm new to your work (like in the last year or so) and every book I read just gets more and more amazing. I've had to change my top 5 list to my top 6. How different would the world be if Bill Gates was hot. I have this on my TBR list and cant wait to get to it. :D thanks Shelley! And yeah, it never ends. Laptop before makeup. My motto. Guess I'm a little boring as well, but I bet we enjoy having that wonderful tool along on any trip. I'm always writing...need my laptop! I like the premise of the story! My laptop is my best friend. Says a lot about me, I guess. If I didn't mind packing a little bit more, I'd love to take my laptop. I love the description of this novel. Sounds like a good story premise, Maisey! I've got quite a list of places I'd like to travel to as well, including those you've listed. Congratulations to Jemi Fraser. Please email me at nas_dean@ymail.com You've been chosen the winner of this contest. Thanks to all my friends for coming along!